Cold roll forming technology has been widely used in different industries,there are cold roll forming machine for door frame,cold roll forming line for supermarket displaying shelves and so on.Cold Roll forming machinery companies have been known for many years for the many benefits of using the process of cold roll forming to create complicated and complex metal shapes. Solar Energy Bracket is a special support for the design of the solar photovoltaic power generation system in order to display, install and fix the solar panel. General materials are aluminum, carbon steel and stainless steel. Based on the needs of the market, Zhang Yun designed Solar Energy Bracket Roll Forming Machine for making the production of solar energy supporter in batch and fully automatic. 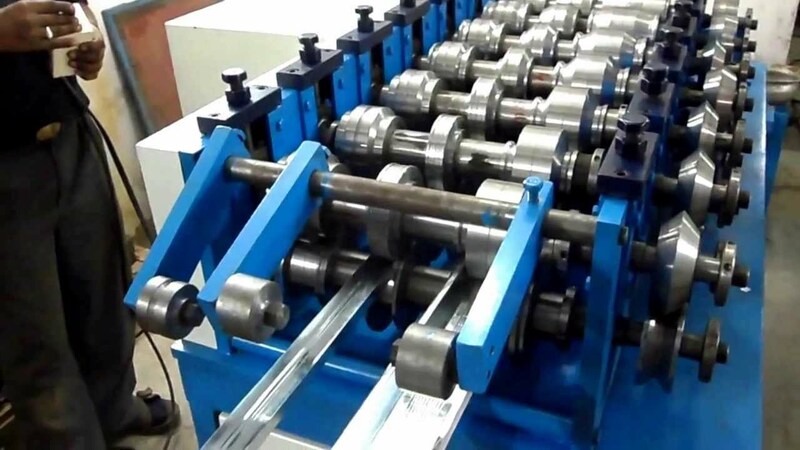 Cold roll forming equipment formingroller to move the body and forming, it is divided into two categoriesaccording to the structure: the overall shape of the roller and the combination forming roller. 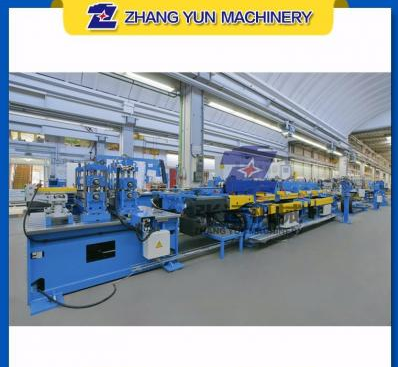 The Structure And Quality Requirement Of Forming Roller Of Cold Roll Forming Machine - ZhangYun Machinery Manufacturing Co.,Ltd. Storage Shelf Cold Roll Forming Line,manufactured by Zhangyun Machinery.Storage Shelf Cold Roll Forming Line is widely used in storage and logistic industry.In our daily life,we often meet with supermarket storage shelves and warehouse storage shelves. How are they be manufactured? 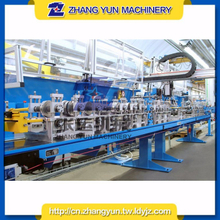 Here is the function of cold roll forming line. 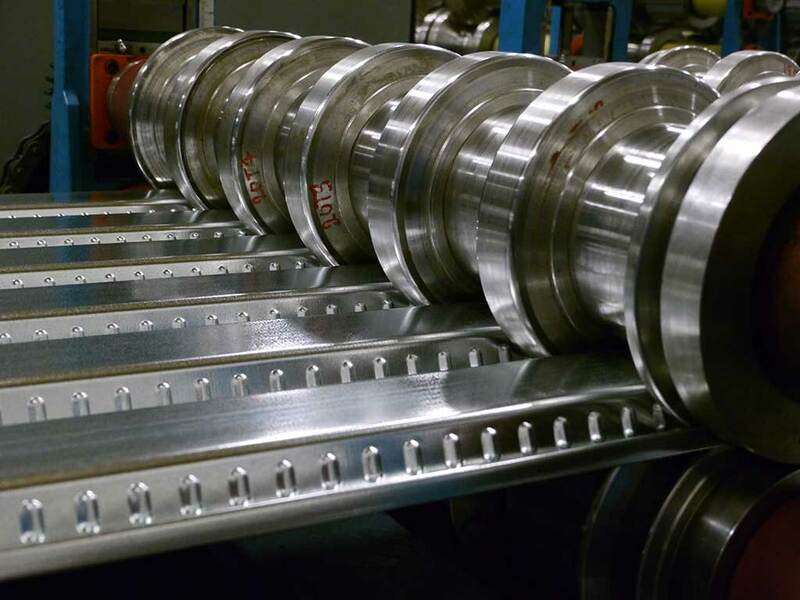 Cold roll forming equipment is the latest equipment for the processing and manufacture of steel archs,the protection of tunnels. 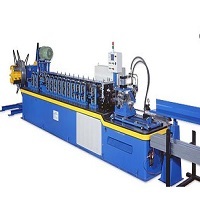 It consists of electrical control system, cold bending system, base, hydraulic system, mechanical transmission and auxiliary system and so forth. The elevator has been able to run up and down smoothly, in addition to the core of the operating system control, but also need a auxiliary operating equipment, the device carrier Is the elevator guide rail device. 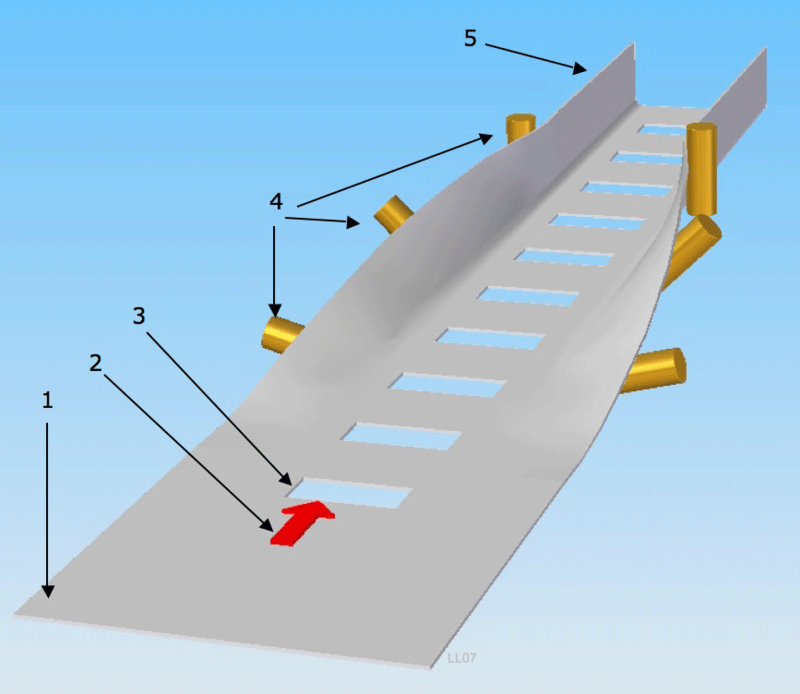 The elevator guide rail is a safe rail of the elevator running up and down on the hoistway. 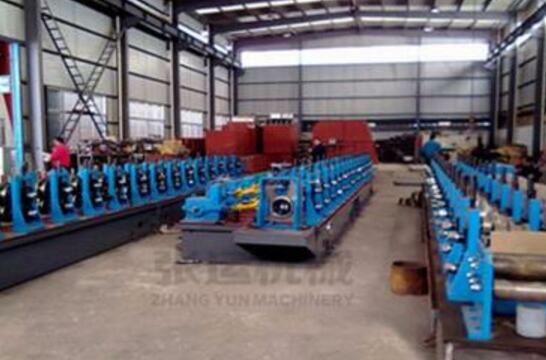 As a professional manufacturer of cold roll forming machines, we always keep making more and more effort to improve this industry. 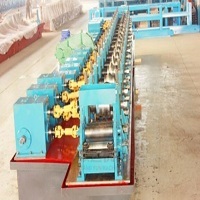 Electrical cabinet roll forming line is one of our basic products. 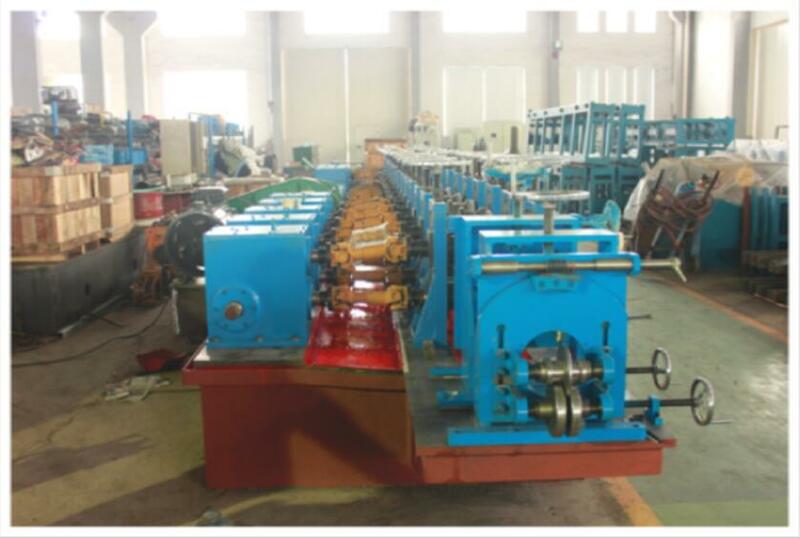 Today we are going to see the features of electrical cabinet roll forming line. 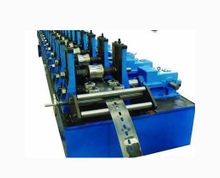 What is Cable Tray Roll Forming Machine? 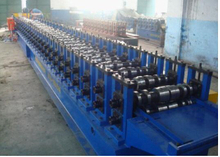 The Cable Tray Roll Forming Machine Produced by us, is used for producing cable trays that are used in different kind of factories and buildings. 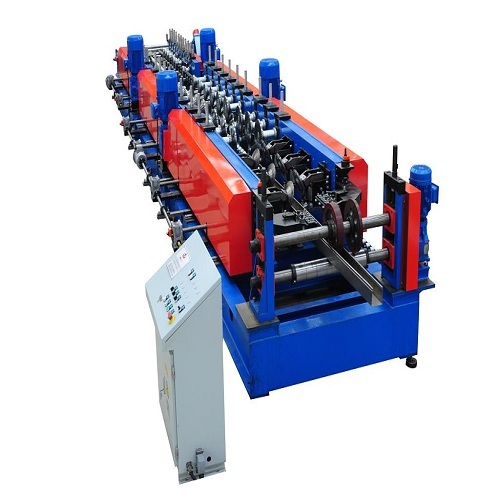 We offering you to Cable Tray Machine that comprise of efficient Punching Press, Hydraulic Press, Electric Control panel and many other Equipments. 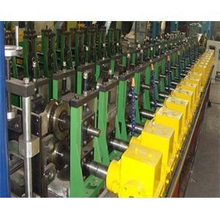 We make more effort to search and choose ourselves a professional elevator guide rail manufacturer,but when we bought their machine production line,most of us have ignored the check standards of a quality hollow elevator guide forming line.Here we will talk about the check standards.